NESCA News & Notes: Kids Have Three Times Too Much Homework, Study Finds. What's the Cost? Kids Have Three Times Too Much Homework, Study Finds. What's the Cost? Story highlights: First-graders get nearly three times the homework education leaders recommend, a study concludes. The cost of excessive homework is "enormous," the study's contributing editor says. Nothing quite stresses out students and parents about the beginning of the school year as the return to homework, which for many households means nightly battles centered around completing after-school assignments. Now a new study may help explain some of that stress. The study, published Wednesday in The American Journal of Family Therapy, found students in the early elementary school years are getting significantly more homework than is recommended by education leaders, in some cases nearly three times as much homework as is recommended. The standard, endorsed by the National Education Association and the National Parent-Teacher Association, is the so-called "10-minute rule" -- 10 minutes per grade level per night. That translates into 10 minutes of homework in the first grade, 20 minutes in the second grade, all the way up to 120 minutes for senior year of high school. The NEA and the National PTA do not endorse homework for kindergarten. The great homework debate: Too much, too little or busy work? In the study involving questionnaires filled out by more than 1,100 English and Spanish speaking parents of children in kindergarten through grade 12, researchers found children in the first grade had up to three times the homework load recommended by the NEA and the National PTA. Parents reported first-graders were spending 28 minutes on homework each night versus the recommended 10 minutes. For second-graders, the homework time was nearly 29 minutes, as opposed to the 20 minutes recommended. And kindergartners, their parents said, spent 25 minutes a night on after-school assignments, according to the study carried out by researchers from Brown University, Brandeis University, Rhode Island College, Dean College, the Children's National Medial Center and the New England Center for Pediatric Psychology. "It is absolutely shocking to me to find out that particularly kindergarten students (who) are not supposed to have any homework at all ... are getting as much homework as a third-grader is supposed to get," said Stephanie Donaldson-Pressman, the contributing editor of the study and clinical director of the New England Center for Pediatric Psychology. "Anybody who's tried to keep a 5-year-old at a table doing homework for 25 minutes after school knows what that's like. I mean children don't want to be doing, they want to be out playing, they want to be interacting and that's what they should be doing. That's what's really important." Donaldson-Pressman, co-author of "The Learning Habit: A Groundbreaking Approach to Homework and Parenting that Helps Our Children Succeed in School and Life," says the National Education Association (and the National PTA) made their recommendations after a number of studies were done on the effects of homework and the effects on families of having too much homework. "The cost is enormous," she said. "The data shows that homework over this level is not only NOT beneficial to children's grades or GPA, but there's really a plethora of evidence that it's detrimental to their attitude about school, their grades, self-confidence, social skills and their quality of life." In fact, a study last year showed that the impact of excessive homework on high schoolers included high stress levels, a lack of balance in children's lives and physical health problems such as ulcers, migraines, sleep deprivation and weight loss. The correlation between homework and student performance is less clear cut. Previous research, including a 2006 analysis of homework studies, found a link between time spent on homework and achievement but also found it was much stronger in secondary school versus elementary school. Another study, this one in 2012, found no relationship between time spent on homework and grades but did find a positive link between homework and performance on standardized tests. The current study also examined the stress homework places on families and found that as the parent's confidence in their ability to help their child with homework went down, the stress in the household went up. Fights and conflicts over homework were 200% more likely in families where parents did not have at least a college degree, according to the study. Parents who have a college degree felt more confident, not necessarily in helping their child with their homework, but in communicating with the school to make sure the level is appropriate, said Donaldson-Pressman. "Undereducated parents really believe that their children are supposed to be able to do (the homework), therefore, their children must be doing something else during school" instead of focusing on their studies, she said. "So the parents argue with the kids, the kids feel defeated and dumb and angry, very angry, and the parents are fighting with each other. It's absolutely a recipe for disaster." She added, "All of our results indicate that homework as it is now being assigned discriminates against children whose parents don't have a college degree, against parents who have English as a second language, against, essentially, parents who are poor." Many parents might feel stressed just reading about homework, but there are specific things they can do to make the entire homework experience less anxiety-producing for everyone in the household, parenting experts say. 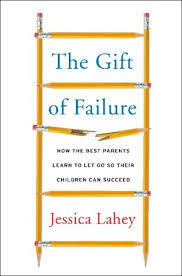 Jessica Lahey is author of the just-released book "The Gift of Failure: How the Best Parents Learn to Let Go So Their Children Can Succeed." Lahey recommends that if parents are concerned about how much time their children are spending on homework, they first look at how and where their child is doing their homework to see whether that's a contribution to how long it takes. For instance, are the children being distracted by smartphones, music or other household activities? If a parent has done that and determined the child is still spending too much time on homework, contact with the teacher makes sense, said Lahey, who is also a columnist for The N.Y. Times and a contributor to The Atlantic and Vermont Public Radio. "It is absolutely appropriate for you early on when the kid's little and later on when the kid gets older for the kid to talk to the teacher ... Rather than being defensive about it, what you can do is say, 'Look this is supposed to take 30 minutes, but it's taking me an hour. Can you help me figure out why?' " she said. "If you come at it from a 'Can you help me solve this problem, can we partner together to talk about why this might be so?' that's going to do much better for you and for your kid in the long run..
One of the biggest mistakes parents make when it comes to homework, said Lahey, is dictating the terms of homework. 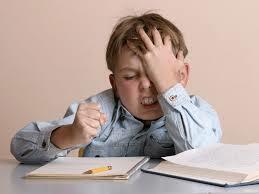 Instead, parents should hand the details over to the children concerning how, when and where the homework gets done. "Some kids like to do their work immediately when they get home from school. Some don't. Some kids crazily enough like to do it really, really early in the morning," she said. "But it never really occurs to us to ask, 'What would your perfect homework day look like?' and at the very least that will make your child feel heard and then give them some control back over the order in which they do things, over where they do it, over how they do it." Is it OK to let your child fail? Finally, Lahey recommends parents set really clear expectations at the beginning of the school year about the homework getting done and ending up in the teacher's hands. But that's really as far as parents should go, she says. She highly discourages parents from correcting their kids' homework -- and even doing it themselves. Homework is meant to help children and the teacher know which skills are missing and what needs improvement. Secondly, and something that is crucial to the success of our children later in life, is the importance of letting our kids learn how to make mistakes, letting them fail and find the motivation for their own success. "In order to be invested in our own learning or anything we're doing, we need to feel like we have some control over the details of it. We need to have some autonomy and control over the details of it. We need to feel competent," said Lahey. "And if parents are fixing homework for us, the kid never really gets to feel competent because the parent's the one fixing it and they really need to feel invested and connected to the material."